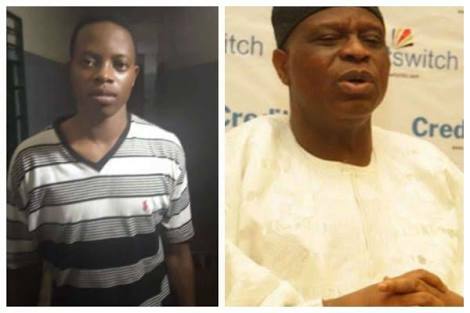 The Togolese cook, Sunday Anani, who allegedly killed his boss, businessman and chairman of Credit Swift ltd, Chief Ope Bademosi, has finally opened up to the police how he executed the evil act at his boss' home located at No.3B, Onikoyi Lane, Parkview Estate, Ikoyi, Lagos, on Wednesday, October 31, 2018. How did it all start and how did he kill the Chief? According to the suspect, when he got to the deceased room and met him on the bed, he said "Chief I am not here to kill you" the deceased asked him "what do you want" and he replied "money". -That the suspect fled the crime scene when he heard knocks on the door of the kitchen door to Ondo state for refuge. -That the (other) suspects Kofi Friday, Agbeko Ayenahin, Salisu Hussein and Nura Mamudu are not linked to the crime. Chike added that the suspect will be arrainged in court while the other suspects who are not linked to the crime will be released to reliable sureties. The Commissioner of Police Lagos State, CP Edgal Imohimi has directed that the casefile be duplicated and forwarded to the office of the Directorate of Public Prosecution (DPP) for vetting and legal advice.